The Best Flamenco blogs from thousands of Dance blogs in our index using search and social metrics. We’ve carefully selected these websites because they are actively working to educate, inspire, and empower their readers with frequent updates and high-quality information.Also check out Top Flamenco Music and Dance Youtube Channels list for Top videos on Flamenco Music and Dance. About Blog Flamenco Bites is a flamenco dance blog with online dance classes promoting flamenco dance as an art form for everyone around the world. It is your one-stop destination for all the inspired instruction and resources you need to grow into the dancer you were meant to be. Edmonton, Alberta About Blog The Edmonton Flamenco Festival is committed to raising awareness, understanding, and appreciation of Flamenco for the greater Edmonton community through an annual festival. We build community through performance, workshops, and outreach programs. Facebook fans 354. Twitter followers 20. Portland, OR About Blog Portland Flamenco Events [PFE] provides a broad flamenco experience of Community, Instruction & Performance. Find how to learn flamenco dance, flamenco travel experiences in Spain, flamenco dance students and their experiences, interviews with flamenco artists, translations of flamenco letras (songs) from Spanish to English. Facebook fans 1,345. Twitter followers 737. Spain About Blog The Ebony fingerboard is about Handmade construction of guitars such as flamenco and classical guitars. Manuel Rodríguez Guitars writes about all news about guitars, fairs, events, artists, etc. Facebook fans 29,606. Twitter followers 1,094. San Francisco, CA About Blog Reddit is a community of millions of users engaging in the creation of content and the sharing of conversation across tens of thousands of topics. A sub-reddit for appreciating all things Flamenco including guitar, cante, baille and much more. Facebook fans 1,187,946. Twitter followers 545,936. London About Blog Hi I'm Therese Wassily Saba. I am a music journalist and an editor of books on Arabic and Spanish language and history, oriental manuscripts and music. I was the founding Editor of the quarterly magazine Flamenco International. Find all things related to Flamenco on My Flamenco Diary. Facebook fans n/a. Twitter followers 532. Barcelona · Spain About Blog Maestros de la Guitarra is about Spanish and flamenco guitar concerts in Barcelona. The most beautiful music performed by great maestros, throughout the year, in the heart of the city. They enchant people with beauty, history, culture and virtuosity, fostering this art in the city which is known by many as the cradle of the classical guitar: Barcelona. Facebook fans 13,776. Twitter followers 963. Facebook fans n/a. Twitter followers 4,638. About Blog Alice Blumenfeld founded Abrepaso as a platform for her vision of flamenco as a limitless and relevant art form to take shape. Abrepaso creates honest flamenco dance that provokes the audience to think, feel, question, and remember our shared humanity. Blumenfeld combines her extensive knowledge of flamenco and dance with her passion for poetic movement to guide the company. Facebook fans 497. Twitter followers 29. San Francisco, CA About Blog Reddit is a community of millions of users engaging in the creation of content and the sharing of conversation across tens of thousands of topics. This is a sub-reddit for all things related to the Flamenco Guitar. Facebook fans 1,187,944. Twitter followers 545,936. Spain About Blog The Cristina Heeren Foundation is a non-profit organization created in Seville in 1996 for the teaching, conservation and international diffusion of flamenco. They teach and the conserve Flamenco in Andalucía but also in the rest of Spain and in any other place. Facebook fans 14,075. Twitter followers 2,078. Los Angeles, Southern California About Blog Hi I'm Rina Orellana. I am a Flamenco Dancer, Choreographer, Artistic Director & Instructor in Los Angeles, Southern California. Online Flamenco Studio is where there are dozens of instructional videos in technique and choreography of flamenco. Facebook fans 1,995. Twitter followers n/a. About Blog Casa del Arte Flamenco blogs about news, programme and agenda about it's shows in Flamenco and makes you feel the passion of flamenco. Facebook fans 4,883. Twitter followers n/a. About Blog The Flamenco Academy of Dance, founded in 1991 by Ms. Iglesias, offers both group and private instruction to adults and children in all levels of flamenco dance. They provide classes which are appropriate for both the casual and serious dancer. Facebook fans 568. Twitter followers n/a. Louisville, Kentucky About Blog Welcome to Fleur de Flamenco. I am a blossoming flamenca. I am learning and growing and unfolding; opening my soul to flamenco. And Louisville, Kentucky is where I found and am nurturing this art. I am a student/dancer/performer with the best flamenco studio in town- Flamenco Louisville! This blog is dedicated to chronicling my journey from a total newbie three years ago through my continued progress forward. So, here I am, on a new adventure of writing about my flamenco life. Facebook fans 313. Twitter followers 940. Burnaby, British Columbia About Blog Al Mozaico Flamenco Dance Academy was founded by Oscar Nieto & Kasandra La China in 2002 and was created with a love of Flamenco and an appreciation for Canada’s cultural mosaic. Their approach is holistic, integrating flamenco dance with music so all levels of students can enjoy, grow and appreciate the art of flamenco. Facebook fans 971. Twitter followers 866. About Blog Spanish Dance ​FLAMENCO Singapore Blog is about Flamenco and Spanish Dance classes and performances in Singapore, International artists & maestros from Spain; Spanish culture & lifestyle. Facebook fans 1,395. Twitter followers n/a. London, England About Blog Experience flamenco music and dance like never before. Alma Gitana (Gipsy Soul) brings you the passion of flamenco music and dance with an unforgettable show. Facebook fans 1,298. Twitter followers 25. About Blog Flamenco Route Madrid Blog makes you live flamenco from passion, originality and feeling. It is a unique blend of two greatest passions: Flamenco and Theatre. Facebook fans 918. Twitter followers n/a. Denver & Boulder Colorado About Blog The Flamenco Fantasy Dance Theatre is the premier Flamenco dance company in the region. Featuring eight very talented dancers, multiple guitarists, a percussionist, and Artistic Director René Heredia on lead guitar, the company performs regularly throughout the Front Range of Colorado and across the region. Find information on the upcoming events form Denver Flamenco. Facebook fans 854. Twitter followers 148. Spain About Blog Hi I'm Ania Bartelmus. La Candela is a world class flamenco dance and music entertainment. Find Music from Spain, Venezuela, Colombia, Puerto Rico, Cuba and more. Facebook fans 528. Twitter followers n/a. Arizona, USA About Blog Flamenco the Studio is the leading Flamenco studio in Phoenix where all students get instruction in authentic Flamenco. They provide a strong foundation in Flamenco dance and Flamenco guitar which is necessary to understand the art of Flamenco. Facebook fans 366. Twitter followers 26. About Blog Get current info on flamenco shows, classes and more from Maria Avila flamenco. About Blog Project of flamenco is to ensure all music are committed to the goal that flamenco, as a musical genre, be present in primary education in Andalusia. Facebook fans 213. Twitter followers 276. Helsinki, Finland About Blog Hi I'm Minna. This is my blog in Finnish, where I am thinking of everything between the earth and the sky in relation to Finland, Spain, the world, tourism and flamenco. Facebook fans n/a. Twitter followers 289. Facebook fans n/a. Twitter followers 238. About Blog Flamenco Edmonton is a blog designed for posts originating from and relevant to the Edmonton, Alberta flamenco community. Find flamenco-focused information. About Blog Eros Flamenco provides everything related to flamenco. France About Blog Flamenco and Solidarity: it's Flamenco for All at ALB. About Blog Papeles Flamencos documents of flamenco theme that, in David Perez Merinero 's opinion, which are worthwhile to come back to light. About Blog Newsmagazine, research and events from Granada Flamenco. About Blog Hi I'm Mikaela Kai. I started flamenco in 1999. Mikaela Kai Flamenco offers Class and event information in Los Angeles and South Bay areas in Southern California. About Blog Hi I'm Hannet Engel. I am both an art historian and flamenco dancer, so for me magic happens when I combine my two great passions: ‘flamenco’ and ‘art’. Flamenco Artworks is designed like a colourful exhibition with works of art, photographs, vintage film footage and fun facts about flamenco, art and its history. About Blog Find Flamenco news and activities in Calgary. About Blog Flamenco Blog in Hawaii provides flamenco class, workshop, shows and promotion in Hawaii. 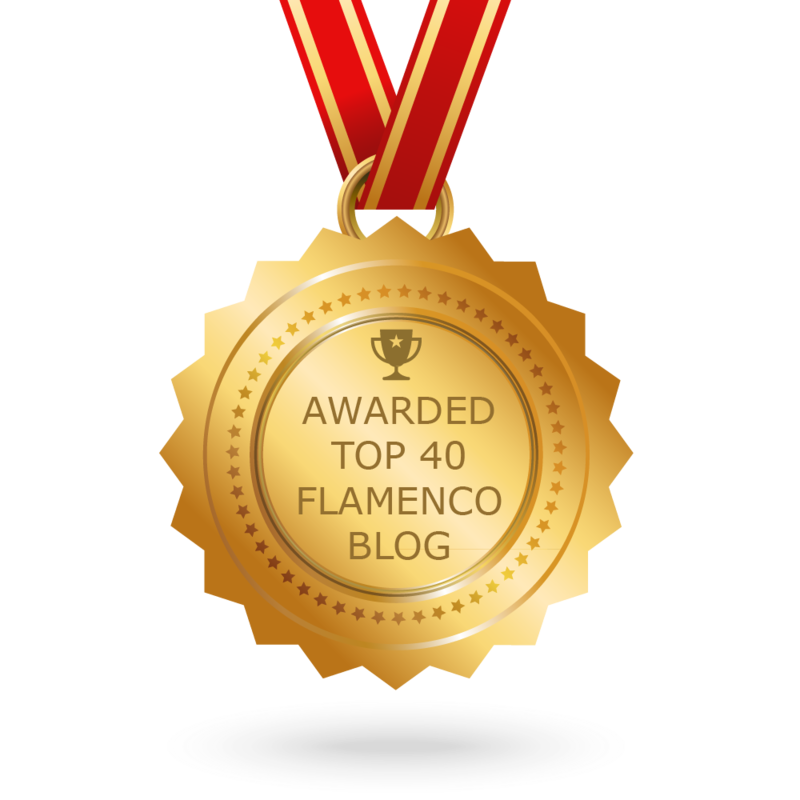 CONGRATULATIONS to every blogger that has made this Top Flamenco Blogs list! This is the most comprehensive list of best Flamenco blogs on the internet and I’m honoured to have you as part of this! I personally give you a high-five and want to thank you for your contribution to this world.